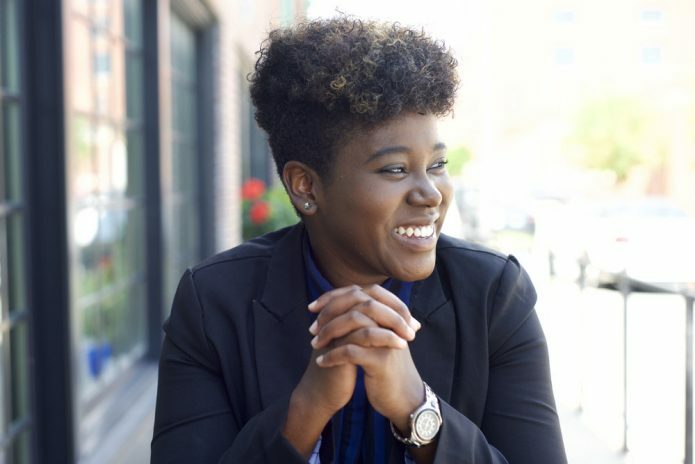 I recently had the privilege of talking with De Andrea Nichols, award winning social impact designer and “creative catalyst.” De is the director of Civic Creatives, and received the 2016 Visionary Award for community impact in the city of St. Louis. An artist and designer in her own right, much of De’s work over the past few years has been as a connector — bringing artists, organizers, designers, community members, and allies together in the struggle for justice in Ferguson and beyond. Over the course of an hour-long interview we discussed the importance of design for social movements, how museums can be more human, “common cultural denominators,” and activist self-care. I noticed, when I looked you up online, that your name is usually followed by a long list of titles or job descriptions. At this moment in time, how would you describe what it is that you do? That is a very hard question to answer because I am very multidisciplinary in the way that I create with others, and even how I create for myself. I would say that I am a creative catalyst. I help people catalyze new, novel, and remix ways of engaging in social issues that they care about. I’m always intrigued by how people come to these nontraditional, hybrid spaces. What’s been your journey into this work? Since I was young, I’ve always been at that intersection of creativity, community, and social change. Growing up in rural Mississippi I was bullied a lot, and I was very conscious of racism and prejudice. In elementary and middle school a lot of my drawing and painting was about transforming the narrative of how I felt, and how I witnessed others feeling. Similarly, a lot of my work in high school and college dealt with using art as a way of presenting back what people who were marginalized were feeling. During those early years I was also a student organizer for a lot of diversity and inclusion initiatives. So, what I do now is just a maturation of something that was always there. I started off in fine arts. Then, when I was an undergrad, I chose to major in communications design, learning how to take huge bodies of information and make them visually digestible and understandable. I wanted to take social causes and nebulous ideas and spread them across different media and platforms. After I graduated from college I found myself in a design fellowship that transformed the way that I wanted to do my work as a designer. It’s called Project M Lab and is headed up by John Bielenberg, a huge leader in the design field. The premise of Project M Lab is to teach designers how to “think wrong” in order to do good, meaning think outside of the present paradigm in order to innovate new ideas. I learned a lot from that experience. But with the context of being in rural America, being the only person of color on my team, one of two women, and the only person who had actually lived in poverty, I had a lot of issues with how I was engaging with community. That’s what drove me to go back to grad school for social work. What was it about social work that drew you back to school? What were you looking for? I had so many curiosities about community organizing, economic development, and policy, and the Brown School of Social Work at Washington University had really strong programs that allowed me to explore all of those topics while specializing in social entrepreneurship. While I was in grad school I started Catalyst by Design, my first nonprofit, and that’s what led into a lot of what has transpired since — being a two-time Clinton Global Initiative recipient, receiving a Visionary Award for St. Louis. That experience in grad school, and the things that the Brown School of Social Work helped me to build, continue to fuel the work that I do today. After grad school, what was the next step? While I was still in school I did my practicum with the Contemporary Art Museum here in St. Louis. During my final semester we wrote a job description for a full-time community engagement specialist and funded that position for a year. At the same time I was transitioning Catalyst by Design into a for-profit, which is now Civic Creatives. So I left grad school in 2014 with a full time job as well as my own business. Are you still working at the museum? I am on my way out actually. I am still based there, but not for long. There’s quite a movement today of museums shifting away from audience building and trying to do some sort of community engagement. Given your background, what did your efforts look like? At CAM I was entrusted with space and resources to really explore what community engagement meant in this context. A lot of it has entailed radical work with schools in the area. Our museum serves every middle and high school art class with virtual tours and contemporary art workshops in collaboration with local artists from around the city. Artists come in not to just to teach their practices but to merge art with contemporary social issues. Everything ties back to what’s happening in society right now, and that has led to some really dynamic projects and collaborations. In addition, I’ve been doing hyper-local engagement with the neighborhoods that surround the fine arts district. At first we wanted to just see if people who live within a one-mile radius of our museum even know that we exist. For a year, I led the effort to just meet neighbors and build relationships and listen to their recommendations about how they would like to be in better relationship with the museum. We implemented a lot of the recommendations that they suggested. We’ve also been collaborating with stakeholders and organizations that are already in the neighborhood, because a lot of the programs that families want, we aren’t able to provide on our own. From your experience at CAM, what do you think are the ideal roles that an art museum can play in neighborhoods like those you’re working with in St. Louis? I think museums at large can do a better job of being a space where people feel affirmed and cared for, where they feel their stories are of value. Museums need to think about the hospitality of spaces. What does it looks like to better educate people about what happens in a museum, but also to welcome people to take more ownership of their experiences? As an example, with the art education team we think a lot about the museum as a space where youth can feel empowered to take ownership. Teens curate exhibitions every summer at the museum, and we have a children’s play space where parents can tell us what they want and by the next time that they come there’s something new for them that is responsive to those needs. There are many ways museums can do a better job collaborating with everyday people instead of just the wealthy, and being more humble. I think people want museums to be more human. I’d love to hear more about your organization, Civic Creatives. It sounds like a lot of your work has been focused around Ferguson and the struggle for Black lives. I graduated in May of 2014, and a lot of great things were happening that spring. 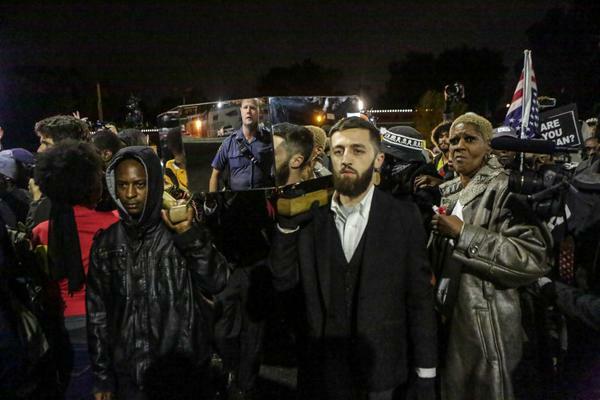 But on the other side of the summer, that’s when the unrest and the rebellion happened here in Ferguson. A lot of my prior work…I wouldn’t say that it unraveled, but it kind of pivoted in response to what was happening on the ground. So from 2014 through now we’ve been organizing in many different capacities: through the arts, through traditional pathways, through storytelling, and through technology. A big part of Civic Creatives is organizing people around what we call “common cultural denominators.” These are cultural universals that people share, despite their differences. Like the fact that everyone has to eat. We have an ongoing series called FoodSpark that has been operating since 2013. 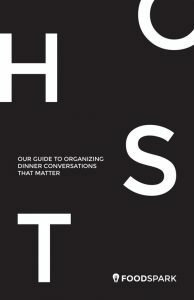 On a monthly basis we convene people within the city of St. Louis to talk about hard issues over the course of a meal. And during that meal we’re helping people spark new connections, new ways of conversing, as well as new ideas. At some of the convenings we’re brainstorming ways of making our ideas happen. But in many of them we’re literally just helping people be able to better understand and talk comfortably about issues like racism and sexism and homophobia. In October of 2014, when the unrest was happening in Ferguson, we hosted four FoodSparks all on the same day around the metro area of St. Louis. Each one of those convenings amassed 50-100 people, including a lot of people who were not from St. Louis and were here to stand in solidarity with the movement. Recently, we launched our FoodSpark Hosting Toolkit, which you can download online. It gives everyone the framework and the tools to take the conversations that have been had at the last 50+ FoodSpark convenings and have them with people in their own communities. Another one of those common cultural denominators is storytelling. No matter if you’re rich or poor you have a story to tell about your experiences as a human being. Our United Story effort partnered with the local PBS station. We gave cameras to residents who lived in Canfield, where Mike Brown was shot, as well as residents who lived near the Ferguson police department, and we had them all talk about their experiences in the aftermath of the protesting and organizing in their neighborhoods. We then shared those stories and hosted gatherings to get people talking about this issue in a brave space. In 2015 we organized the United Story Summit, which allowed people to listen to each other’s stories and then, from those stories, tap into solutions. It’s about recognizing that within our stories are both the issues and the answers to the things that we care about. A final common cultural denominator is the arts. All of us are surrounded by made objects, by art and things that are designed to influence how we behave and interact. I was traumatized when I first started protesting, because of the constant threat of white males and police officers. That drove me to have a lot of nightmares, and from a series of those nightmares I organized artists to help me build this object called the Mirror Casket. 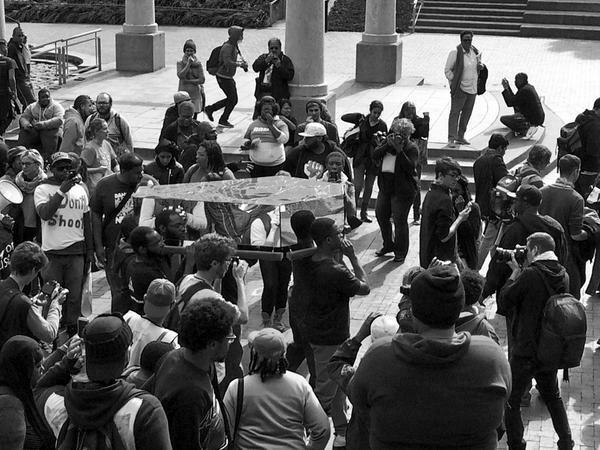 Long story short, we marched that casket in different protests and it went on a touring exhibition across the state. This past year it was collected by the Smithsonian’s new National Museum of African American History and Culture. Because they bought it, we now have a lot of funding that we’ve been strategizing how to put back into this movement in a very dynamic way. We can’t tell you what we’re going to do with that funding yet, but it does relate to museums. The Mirror Casket, which will be joining the collection at the National Museum of African American History and Culture. On the tech side of things, I organized a bunch of designers and coders to help me build a platform called Connected for Justice. It lasted for, I think, 8 months of the initial unrest while things were at their height. Through a web based platform as well as some SMS text messaging technology, we were able to match people who were not living in St. Louis to people who were on the ground in Ferguson, to organize around different needs and actions that led by people here locally. We coined the term “civic matchmaking” to describe this work. You say “we” a lot. Who have you been working with through this time? My immediate team is myself, a woman named Cambrie Nelson, and a woman named Sophie Lipman. Sophie and I are primarily responsible for FoodSpark and Connected for Justice, and Cambry is on the United Story Project. We’ve also collaborated with other artists, designers, makers, and activists for everything that I just described to you. This has included Artivist STL, which I’m one of the co-leaders of. It’s a collective of artists that found each other through the movement, and we still do work together to this day in protest and in solidarity with other social movements, like what’s happening in Syria and in Baltimore and in Standing Rock. In addition to that, we’ve collaborated with MORE, which is an organization for organizers, as well as the Organization for Black Struggle. There have also been numerous media and arts groups in other cities that we’ve collaborated with, just to exchange methodologies. You’ve been vocal about wanting to transform the way that we do community and social movement organizing. I was hoping you could talk a little about what you think needs to change. I’m thinking particularly from a cultural standpoint, in terms of what the world of arts and design and cultural work can teach organizers. As creative organizers, there’s so much that we’ve been able to do that’s outside of those traditional organizer frameworks of marches and protests and boycotts. Having performing artists interrupt a symphony performance, having people toss their bodies onto sidewalks, having flash mobs in public spaces that primarily white audiences navigate, stepping outside of the boundaries — that is something that artists bring to the table. There’s also a new wave of artists who are stepping into policy work. I’m thinking about Hank Willis Thomas, about the US Department of Arts and Culture, where they’re calling for certain demands that politicians otherwise may not consider. That type of creative pressure is something to keep in mind as we move forward. In terms of designers, we’re realizing that our skills can meet this movement in a lot of dynamic ways too. A big part of that is in tool building. There are a lot of communicative needs, and techies and designers have the skills to do that work — to be civic hackers. Even ideas like civic matchmaking, stepping outside of the traditional volunteer signup and really thinking innovatively about how we get people who are not already a part of our choir to join in these movements. I want to ask, on a more personal level, how the last few years have been for you. It sounds like it has been a whirlwind of work and emotion and learning — what big changes have you gone through? What have you learned? It’s funny that you ask that. At the recent Culture/SHIFT conference I moderated a roundtable of artivists, and I received a direct question about self-care. In answering that question I almost broke down into tears. Because being in this movement, being in this work — even before Ferguson — there have just been layers upon layers of trauma that I as an individual have not processed or healed from. That has caught up with me in many ways. In 2014 I was hospitalized and learned that I was severely anemic. That has changed a lot of the ways that I navigate life, with more consideration of my energy and the fact that my body doesn’t pump blood and iron as efficiently as others. I have to take moments to step back. I have to make sure that I’m eating and sleeping, and that means I have to make sure that I’m delegating and balancing my work. The emotional trauma is very real, and one of the things that has changed really dynamically is kind of like this loss of innocence. I feel like prior to these last few years I was always that really bubbly person, that extreme optimist — and I still am. But that optimism has been joined with a lot of realness, a lot of seriousness. I find myself being someone who doesn’t just like to talk about issues anymore. I want to talk about actions and solutions and otherwise I don’t want to talk. I also realize that I’ve become more paranoid of a lot of people around me. I’ve become more sensitive about who touches my body and who can ask me certain questions. Part of that is consciousness of microaggressions and bias, but part of it is also a need to self-protect in a world and a movement that has so much of my life on a public stage. I recognize I have to own my own part in that. As a YouTuber, I put my opinions on the Internet, and as a public speaker I stand in front of hundreds and thousands of people at least twice a month. That means being more guarded, and also recognizing that I may receive more critique than before. I was able to connect with a foundation during Culture/SHIFT, and they actually fund fellowships for artists to go on retreats of self-healing and self-care. I’ll be on one of those in 2017. I appreciate you sharing that. Even though I’ve seen more conversations about activist self-care at conferences and other events, I still don’t think it gets talked about enough in the broader public. You’re certainly not alone. Indeed. One of the things that I shared on that panel is that, in as much as I value being a very honest person, I lie every single day simply answering that question, “How are you?” That has been the hardest question for me to answer during the last few years, because the realness of my answer is not what the person greeting me wants to here. We ask that question so lightly in passing, and the expectation is that the person will respond with “good” or “fine.” And right now I’m not good and I’m not fine. I am here, and I am present, but there is more complexity to how I feel. And so I’ve been challenging people lately on finding healthy ways of communicating, even in those small moments, like in the ways that we greet each other. Since the election, it seems like more people are becoming activated, but are struggling with what exactly to do. There’s a lot of advice flying around, but I’m wondering what your thoughts are, as a civic matchmaker. What do you recommend to people who are looking to step up now, perhaps in ways that they weren’t previously? Or is there a change in terms of how we should be thinking about our work in this new context? I definitely have a lot of opinions on that. Over the last few weeks I’ve had a lot of white peers reach out to me directly and say, “What should I do?” I’ve actually resisted giving people the answers, primarily because the things happening right now are things that people of color and people from marginalized groups have been saying for decades have been happening, and it took this moment for the masses to finally listen. Now that it has occurred, a lot of people are turning to us for the answers and part of what I’ve been telling people is that it’s not upon us to fix this. We did not cause this. What it takes is what a lot of white activists here in St. Louis call “white folks’ work.” As I hear it, white folks’ work entail a few things. One is talking to those cousins and uncles and fathers and mothers who still do not consider human beings human, who are still questioning if Jewish people are human, who are still dehumanizing Muslims and Native Americans and Black and Brown people. It takes having courageous conversations, stepping up to your family at the dinner table and not being afraid to call them out or call them in to this movement. It takes white people talking to white people right now more than ever, especially white men. It also takes a lot of learning. There are a lot of syllabuses that are going around right now, and I encourage people to read those and really catch up so they can be equipped with the tools and the knowledge and the language to have these types of conversations. And it takes connecting with existing groups. I’ve witnessed some people, especially designers, creating new tools and platforms and spaces that already exist and are already led by people in marginalized groups. Instead of a group of white people who support brown people, how about collaborating and being around those brown people and listening in the spaces that they cultivate. It takes a lot of political action as well — it takes calling your local representative, it takes stirring things up, it takes disrupting spaces, it takes stepping up and being present. One of the things I think it does not take are safety pins. There have been a lot of people who have created symbolic support, and symbols like safety pins and changing your Facebook profile and having a sign in your yard, all of those do mean something. So yes, do those, but that shouldn’t be the end of your work. You have to get into the trenches with us more than ever.